According to recent Google research, it's generally the millennials who have the first digital contact with the vendor, albeit as B2B researchers. That means millennials are determining which vendors should even be considered by the C-suite. According to an IBM study, millennials value a hands-on, authentic experience with a brand. The challenge for B2B organizations, therefore, is creating a relevant, seamless digital experience that millennials can connect to – at the right time and in the right digital channel. That's why an exceptional digital experience for all of your customers, including millennials, is so crucial. Since a CEB study found that buyers are now as much as 57% of the way through the buying process before actually engaging with a seller, you need to create a lasting impression that will raise your vendor to the top of the list. 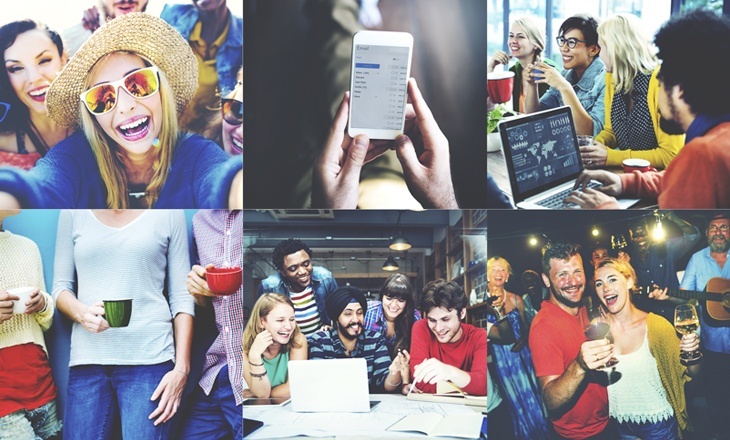 How can your B2B organization transform itself into a digitally mature organization and leave a lasting impression on millennial buyers? This post will offer three suggestions for creating an exceptional digital experience. 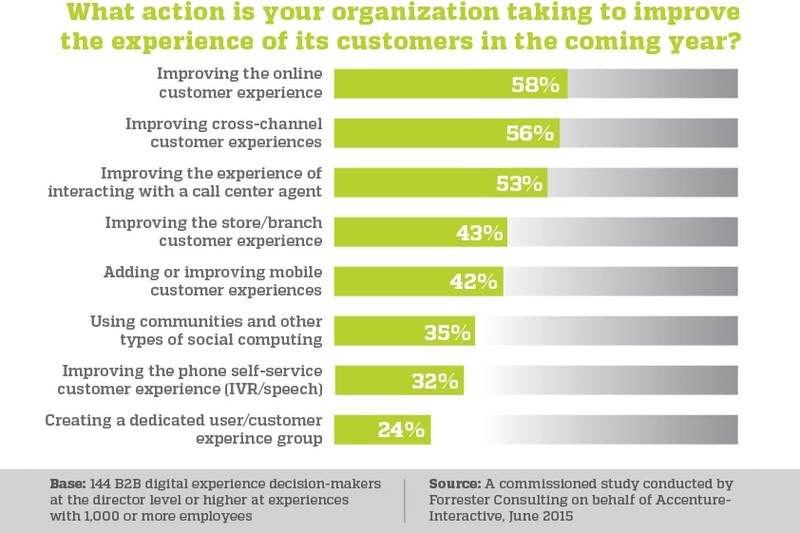 Remember what we mentioned above about creating a relevant and seamless digital experience? You'll need to examine your customer's priorities to provide content that focuses on them and their needs. but also growing revenues and reducing costs. 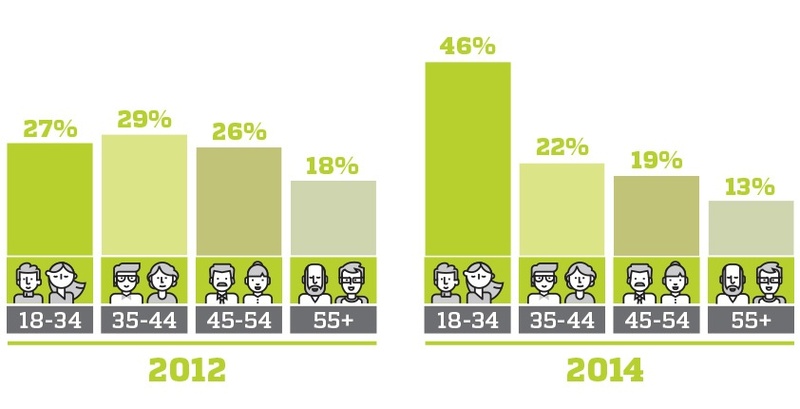 It also means making tactical decisions to improve the digital experience (see the graph below). Digital and customer experience for B2B companies are becoming synonymous, and that's why an engaging and relevant digital strategy focuses on the customer. In order to execute the digital strategy effectively, you'll need guidance from someone who's been assigned responsibility for the digital strategy. 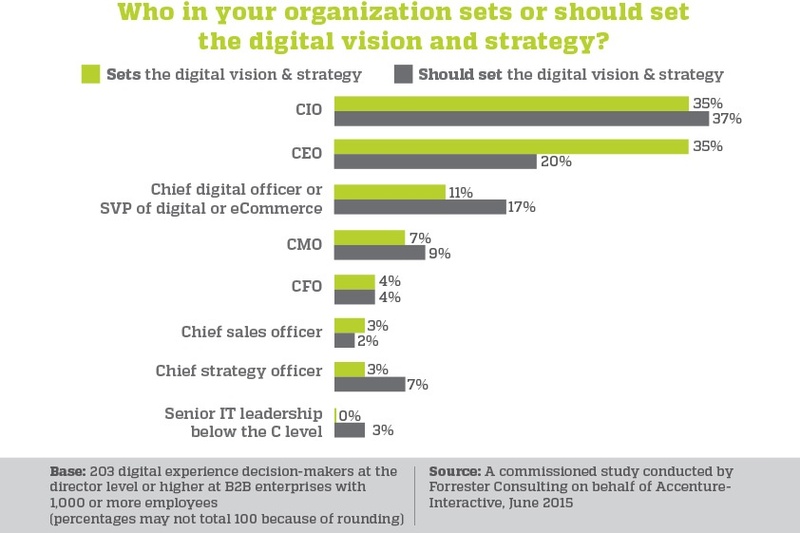 In some companies it's the CEO, in others it's a Chief Information Officer (CIO) or chief digital officer. Whatever the title, someone in the C-Suite must lead the company with their end vision, with any changes being a result of this end vision. In order to capture and sustain the attention of millennial buyers, you'll need to involve the C-suite to align all parts of your business to provide value to the customer – whether R&D, HR and company culture, or sales. An exceptional customer experience will reflect this alignment. Whether it’s front-end applications, performance analytics, web design or content strategy, your company may realize it needs support from a third party to reduce risk and help them gain expertise. According to this Forrester study on digital transformation in B2B, 87% of companies use a third-party solution for at least one component of their digital transformation. One of the conclusions of the Forrester study is that it is vital to choose a third-party vendor that not only provides time and materials, but an end-to-end partnership as well. Find a solution that understands your broader goals in the marketplace and have them accountable for some measure of quantifiable success (whether it be more traffic, a lower bounce rate, or higher keyword rankings). By focusing on the customer experience, assigning someone in the C-Suite responsibility over digital strategy and choosing the right third-party vendor, you'll create a digital experience that is successful in catching and sustaining the attention of B2B millennial buyers. In addition, you'll have to provide them with relevant and engaging top-of-the-funnel content in the channel of their preference. For now, these millennial "buyers" may just be influencers determining which companies are on the short list. All the more so that their digital experience be exceptional.